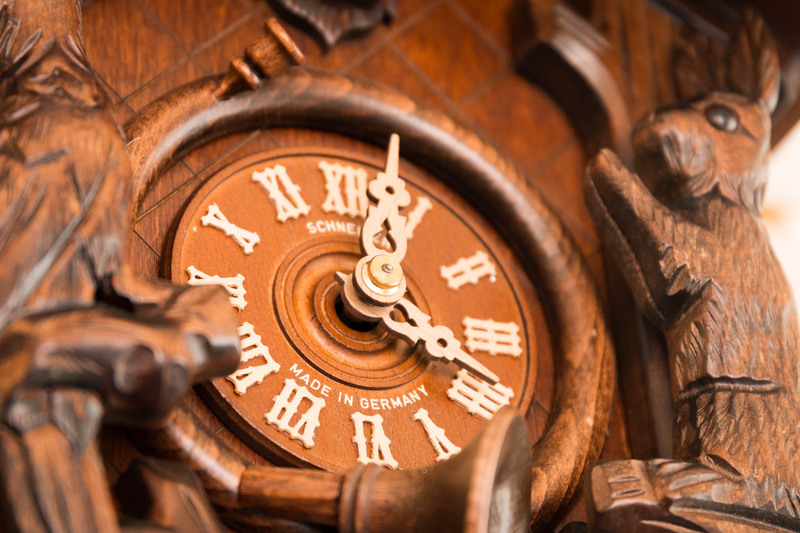 At Grandfather’s Clock Gallery, we employ some of the brightest and most passionate clock makers in Tulsa! 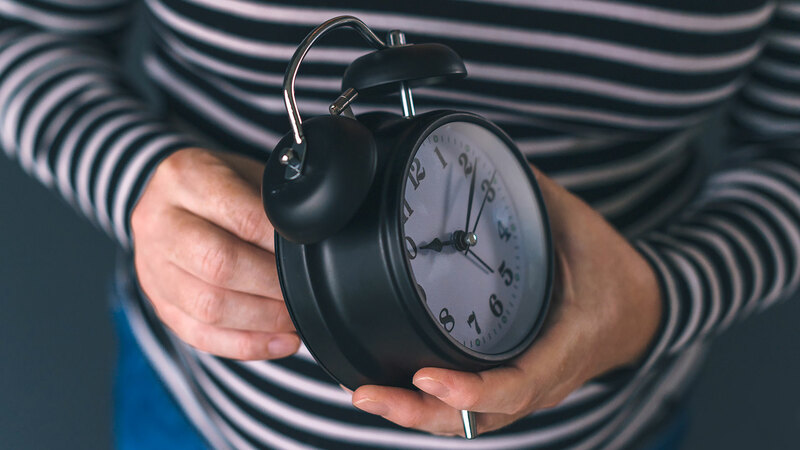 Rest assured that when you bring your clock in for repairs — or want advice on buying a new one — you’re talking to someone who cares about your clock just as much as you do. But what is a clockmaker exactly? What makes these unique people “tick”? Read on for a brief introduction into the vocation of a clockmaker. Clockmakers — or “horologists” — are artists, mathematicians, dreamers. They are some of the most skilled and patient people of any trade and steady as a surgeon, as a tiny, delicate part is repaired in a rare antique clock or pocket watch. They are excruciatingly patient as a school teacher, as the clock, already rebuilt, fails for the 3rd time to pass the artisan’s careful tests, (requiring disassembly and careful scrutiny once again). They are understanding as a veterinarian, seeing the hidden potential in the timepiece, knowing a loving family misses it and waits for it to fill that empty place in their home once more. What all can a clockmaker do? Clockmakers are skilled in many ways. They spend years getting to the point where they can figure out the most complex of machines, repair them, adjust them to keep good time, tune chime rods and re-tip hammers to improve the music and chimes, repair damaged wood, re-silver dials, re-lacquer plates, replace missing cap jewels, design and cut gears, re-pivot and re-tooth broken gears, blue hands and screw heads, re-tip mainsprings… The list goes on! In some cases, they must even restore broken porcelain and touch up or repaint reverse-painted glass and moon dials. There are some parts of clock repair that an intelligent hobbyist can figure out from the garage workbench. Cleaning a mechanism without taking it apart, putting oil on bushings, setting the beat, and improving a damaged case are jobs anyone can learn (and even get good at). But to rebuild a worn out mechanism like-new (or better) takes significant skill and years of dedicated practice. A clockmaker does not set out to simply make a clock run for another two years. 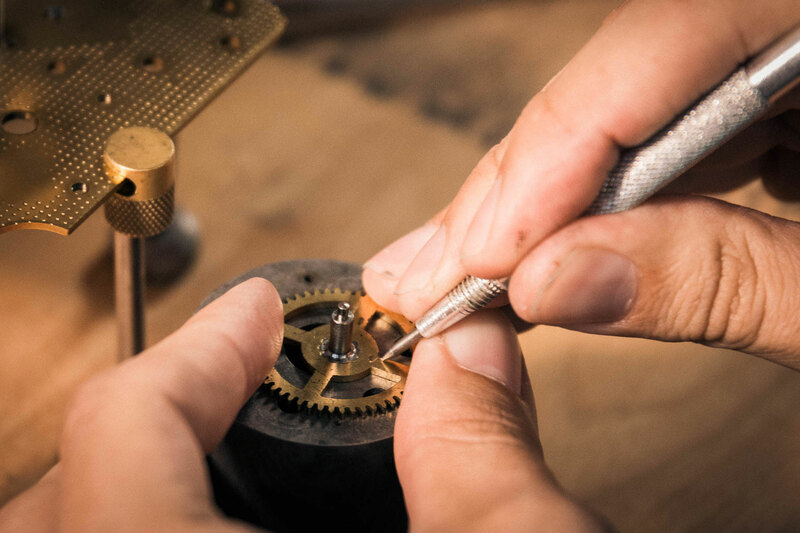 A clockmaker’s life is dedicated to taking a mechanical clock and going over every part of it with dedicated care and skill, rebuilding it once more like-new, to last yet another generation. The best clockmakers can repair any clock, even those with missing gears, broken pivots, cracked springs. Is there anything a clockmaker can’t fix? Nothing mechanical is beyond hope. If a part is missing, it can be designed and installed by the clockmaker. If a mechanism is rusted over, every part can be polished back to life. If a family is told that their mechanical clock cannot be repaired, they have been told a lie. Any mechanical clock can be repaired, but few possess the skill required for the most baffling and complicated movements. Fewer and fewer people collect clocks or even own one family clock. 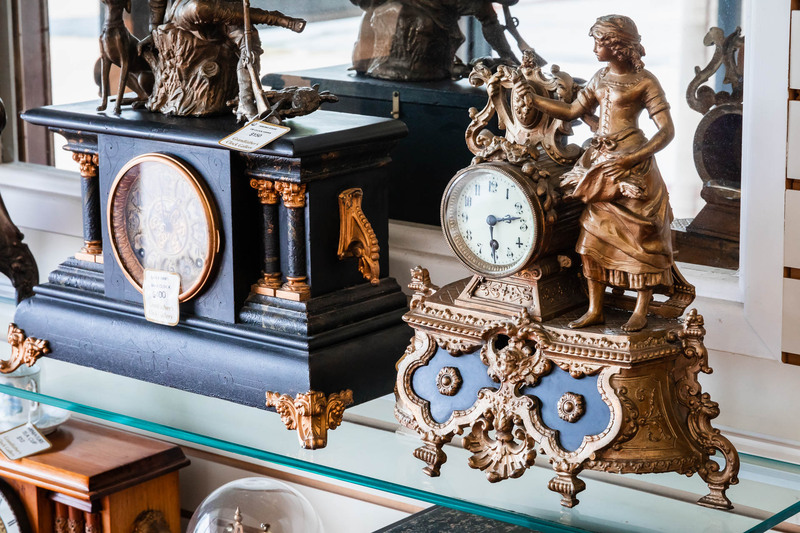 Mechanical clocks and pocket watches, once treasured by an individual or a family, get lost or broken, only to be discovered at a flea market or estate sale or Good Will. There a curious shopper who sees the potential, might slightly grasp the story that will become his own — the heritage of the family clock. A tangible object begins to represent something for a family who takes it in. Skilled clockmakers, though hard to find, still exist, and a family will travel long distances to have their clock handled by someone trustworthy. Because there are so few people left who properly work on clocks, clockmakers get very excited when they meet others who have the same passion and skill. They talk about the hours of struggle and frustration spent for a beautiful and dependable finished project that gives joy to all who see and hear it. They share the stories of their most difficult projects, of their worst failures and most proud moments. They tell about their own inventions, whether they are time-saving tools for the trade or a masterpiece clock designed and built by the individual. They tell about repairs they witnessed on clocks that have been damaged by unprofessional, unskilled individuals that a family trusted. They connect on how they feel about people who damage clocks and cheat families. 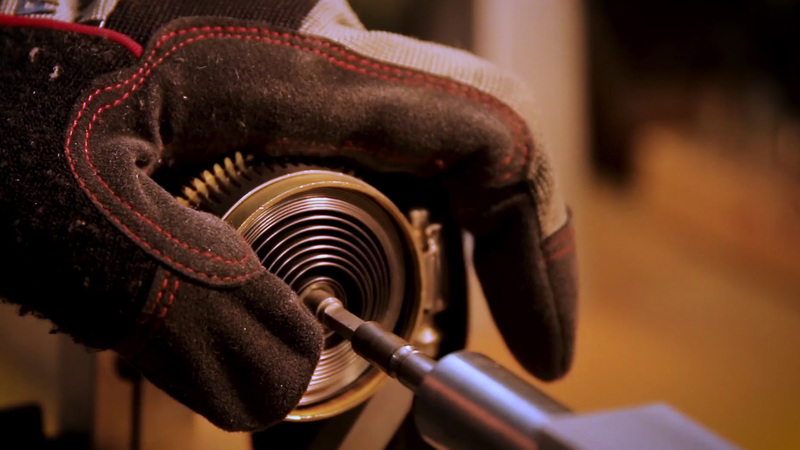 A skilled clockmaker shares a bond with every clock they work on. These steadfast treasures are the true heroes of the story, centering families and defining homes as they keep ticking away. True clockmakers are incredibly proud to play but a small part in the legacy of your clock and your family. Is your clock’s mainspring over-wound?